Remember the fun of watching your old home movies? You can do it again, quickly and easily. Your 8mm, Super 8mm, Super 8 Sound, 16mm, and 16mm Sound can be converted to DVD and Digital Files on Flash Drive. No more hassle with projectors, screens, reels, and bad bulbs. Just insert the DVD, push play, and enjoy. Don’t let those old memories fade away! Our company provides home movie transfer at very reasonable rates. We treat each order as if it were our very own home movies. You receive your original movies back with your finished order. 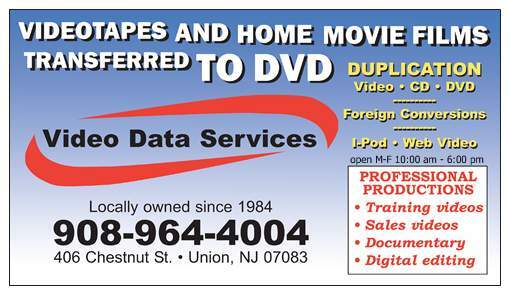 We also offer transfer of your photos and slides to DVD and Flash Drive. No more lost photos or jammed carousels. Each image is carefully scanned and transferred to dvd and Flash Drive in our digital edit system. So why not give that perfect gift by transforming that drawer of photos into a DVD that can be enjoyed and shared with your family. We offer different levels of this service. If you would like a full-blown tribute video that incorporates your pictures, slides, video, narration, titles, and music blended into a memorable keepsake that is both perfect and personal for any occasion, we are the company for you. Some of life’s moments are just too special to live only once. It might be laughter, gasps, or tears; but you can only underestimate the emotional charge when cherished photos are coupled with select music, appropriate transitions, and a few visual effects. Spirits soar, hearts warm, giggles erupt. We don’t know just why it happens; but we love to make it happen. For office parties, weddings, anniversaries, graduations, birthdays, or virtually any occasion, we can choreograph your photos with your favorite music selections into a keepsake video so you can relive and celebrate those times over and over. Have a more practical job in mind? The same techniques, combined with narration, can make very effective documentaries, or even instructional or training videos. Just let us know your particular needs, and we can produce that emotional charge you are looking for. You supply us with photos, slides, and scrapbook items of the person you what to honor or roast and we can put together a tribute that is truly a unique gift.